Green Sprouts Silicone Freezer Tray is perfectly portioned for baby's first feedings. Whole, fresh and balanced food taste delicious and give baby real nourishment to grow. 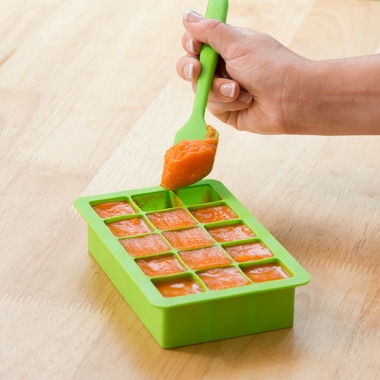 The Fresh Baby Food Freezer Tray is made from petroleum- free silicone for your child’s health and well- being. 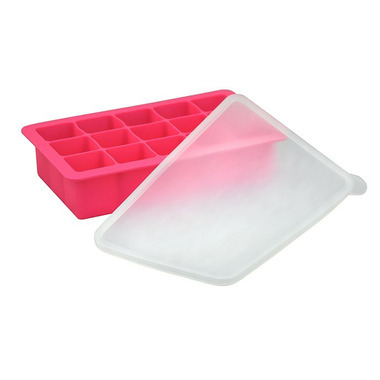 Love the small size of the compartments for freezing small quantities for babyâ€™s first foods, but because the compartments are connected, when itâ€™s full and frozen, the whole thing turns into one big brick, which makes it hard to get each serving out. It would be better if the compartments were separate pods so you could pop stuff out more easily. Bought this to use when we go camping to use for fat bombs. Thankyou for quick delivery. I absolutely love these for storing expressed breast milk and purÃ©es! The 1 ounce squares are the perfect size, especially for breast milk as usually am able to get only 2-3oz at a time and to thaw you donâ€™t waste a bunch either ðŸ˜Š One tip though is to not run its through the dishwasher. I did and unfortunately wasnâ€™t able to remove the toxic dishwasher smell despite many vigorous cleans!